New York State is home to several gorgeous and ancient mountain ranges, including the Adirondack Mountains, the Catskill Mountains, and part of the Appalachian Mountain Range. Hikers in the area will find these accessible from most parts of the state, and the opportunities for hiking and camping are all but endless. The Catskills 3500 Club, which opens its arms to hikers who have climbed all 35 of the peaks over 3,500 feet high at the summit, offers a unique and challenging goal to many hikers in the region, and the intersection of New York’s mountains with trails like the Long Path and the Appalachian Trail make these peaks a must-see for any avid hiker. Located in Greene County, New York, along the range and trail known as the Devil’s Path, Sugarloaf is one of several mountains of the same name. The mountain’s summit reaches 3,800 feet in elevation at the top, and there are two approaches – the Pecoy Notch Trail and the Mink Hollow Trail – that hikers can choose from. Both of these options are difficult hikes that involve some class 2 hiking, with an elevation gain of over 2,000 feet. Sugarloaf is a beautiful hike with some unique views, including an old stone quarry in which hikers can find big stone chairs. 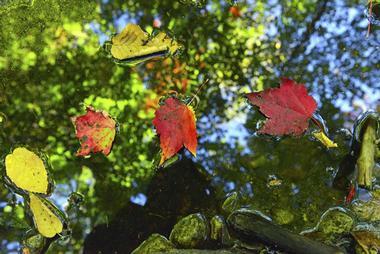 Camping is permitted at the Mink Hollow Lean-To or the Roaring Brook Trailhead. Westkill Mountain reaches an impressive 3,880 feet at its summit, making it number six in the list of tallest Catskill 3500-ers. 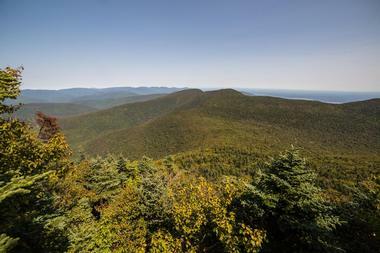 Although the summit does not have a spectacular view, hikers can see from the trail views of the Blackhead Range, the central high peaks, the Shawangunks, and the Hudson River. Several viewpoints, including Buck Ridge Lookout, just east of the summit, offer these vistas. Westkill Mountain is along the 25-mile Devil’s Path at its westernmost point, and is considered the easiest peak along this trail. 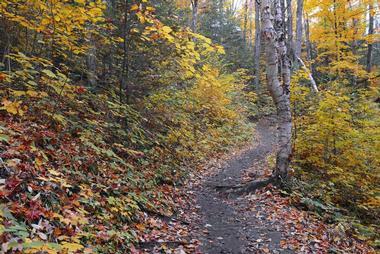 The approaches to Westkill’s summit are accessible via the Devil’s Path Trailhead as well as the Diamond Notch Trailheads. 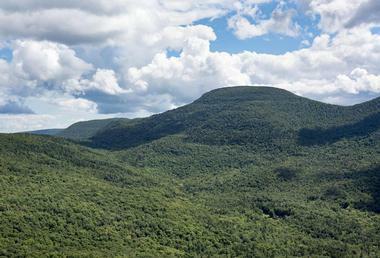 Blackhead Mountain ties for fourth-highest peak in the Catskill Mountains, with a summit of 3,940 feet in elevation. Its summit is the highest part of the Escarpment Trail, a historic trail in the Catskills that was one of the very first marked hiking trails in American history. Although the summit of Blackhead Mountain is viewless, there are several small outcroppings near the top that offer spectacular views of the surrounding mountains and ranges. The mountain is accessible by two trailheads -– Big Hollow Trail and Barnum Road -– which each offer various levels of distance and difficulty for hikers. Camping is permitted in the Batavia Kill Lean-To as well as in the backcountry, so long as campers stay at least 150 feet from the trail. Pyramid Peak is technically not a mountain, as it does not fulfill the criteria of being at least 0.75 miles from the next highest peak or have 300 feet of prominence on all sides. But although it is a subpeak of its neighbor, Gothics Mountain, Pyramid Peak contains some of the best views in the Adirondacks. Pyramid Peak reaches 4,515 feet elevation at the top, and is only a 0.3 mile hike from the summit of Gothics Peak, via the Pyramid-Gothics Trail. Most hikes of Pyramid Peak will be overnight excursions, and the two main trailheads that can be used to approach the summit are St Huberts and The Garden. Campers in the High Peaks Area should be aware of all restrictions and permits necessary, and are required to travel with a bear canister, as bears are prevalent in the area. Breakneck Ridge can be quite popular in the lower areas of the trail, but as hikers ascend higher and higher, they will soon find themselves in much more solitude, and will quickly learn how the ridge gets its name. Breakneck Ridge, located in the Hudson Highlands Area, is mostly comprised of rocky ledges and outcroppings, which were manmade when the stone was quarried for buildings like the Albany State Capitol and the Brooklyn Bridge. 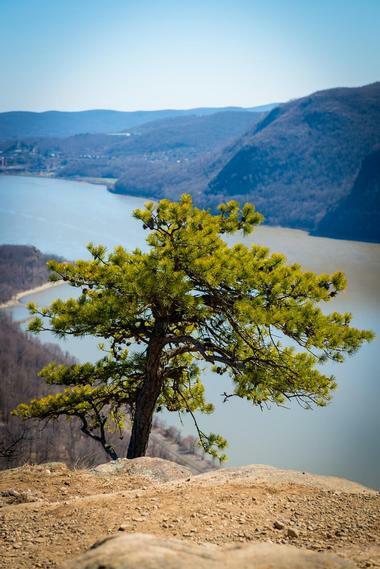 The climb itself can be very difficult, but the trail to the summit of Breakneck Ridge is quite a short one, and the views of Mount Taurus and Storm King from the top of Breakneck Ridge are quite rewarding. Cornell Mountain (3,860 feet) comes in at number eight on the list of tallest mountains in the Catskills, and is a very popular hike. Cornell Mountain is located between two other peaks, Wittenberg and Slide, and although it offers spectacular views of both of these mountains, the view from the summit is inferior to what one might find on the others. These three mountains are close enough together that many hikers choose to summit two of them or even all three in one go. The trail for Cornell, as well as for all three mountains, follows the Burroughs Range Trail, which is also known as the Wittenberg-Cornell-Slide Trail, and extends for 9.75 miles, or 14 miles on a loop hike. 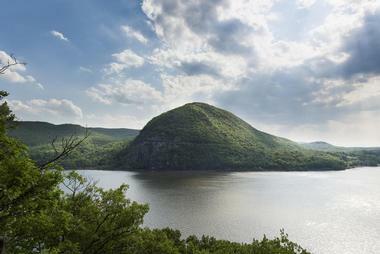 Located in the Hudson Highlands Area, Storm King was named by 19th century writer Nathaniel Parker Willis, who wrote of a tall mountain, crowned by clouds, as the foreteller of a storm. The location was used in the mid-19th century to test artillery, so the presence of unexploded ordinance means that hikers absolutely must stay on the trails at all times. There is a variety of trails available that lead to the summit, each varying in length and difficulty. Storm King is accessible only via Route 9W North, on which drivers cannot turn around. If the entrance is missed, visitors must drive into the nearby town of Cornwall-on-Hudson and turn around there. 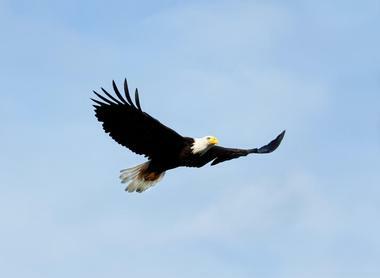 Eagle Mountain is a popular hike for those looking to become members of the Catskills 3500 Club, and is located within the Big Indian Wilderness Area, one of the more remote sections of the Catskill Mountains. From the Pine-Hill West Branch Trail, hikers can approach close to the summit of Eagle Mountain and take a small side path marked by a cairn the rest of the way to the top. The mountain is quite close to two other Catskill 3500 peaks – Balsam and Big Indian – and many hikers combine their hike at Eagle Mountain with one or both of these other peaks. The area contains many lean-tos for campers who wish to spend multiple days hiking and exploring the area. 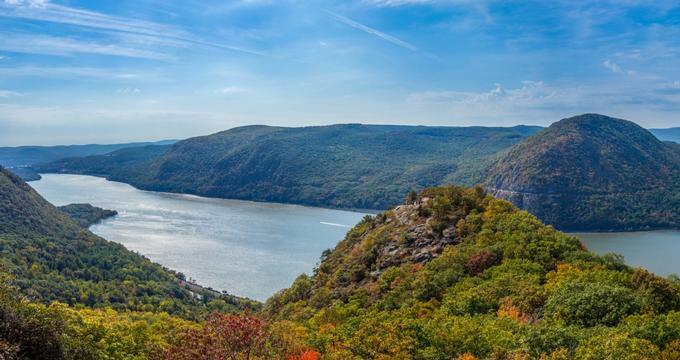 Located only 45 miles from the bustling metropolis of New York City, Bear Mountain is a lovely hike that offers views from the top of the Hudson Highlands region and even the Manhattan skyline. 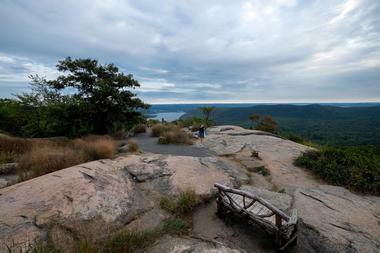 The summit is reachable via hiking trails as well as by a paved road that is accessible by car, and parking within Bear Mountain-Harriman State Park costs $6 per day. Most visitors drive to the top, but the trails to the summit are scenic and peaceful. Bear Mountain intersects with the famous Appalachian Trail, which crosses the historic and beautiful Bear Mountain Bridge, which is the longest bridge on the entire 2,200-mile trail. Mount Egbert is a great hiker for amateur backpackers looking to get some experience before taking on some of the more challenging peaks in the area. Located along the Appalachian Trail, Mount Egbert summits at 1,329 feet, and is located in Dutchess County, New York. The mountain contains some beautiful woodland, with a crisscross network of vehicle-accessible roads that make options for day hikes of various lengths and difficulties practically endless. The summit is accessible via the Appalachian Trail, approaching from either the north or the south, and contains a scenic overlook area near to the summit. The Morgan Stewart Shelter, near the summit of Mount Egbert, is available for camping. Mount Jo is a beautiful little mountain that rises above Heart Lake near Lake Placid, New York. The mountain and the lake were named in the 19th century by Henry Van Hovenberg for his lost love, Josephine, who first spotted the mountain and the lake from the summit of a neighboring mountain, where they became engaged. There are two different trails that lead to the top of Mount Jo, from which hikers can see amazing views of the surrounding peaks and area. There is a parking fee of $9 per day to enter the park, and a summit steward at the top of the peak to answer questions from hikers and tourists. Brace Mountain is located in Taconic State Park, near the state borders of Connecticut and Massachusetts. The park is open daily from sunrise to sunset, weather permitting. With a summit of 2,311 feet, Brace Mountain is the highest in the county, with a sub-summit of 2,304 feet, located just south of the true summit, with better views in that direction. Brace Mountain is accessible via several routes, including the Mount Frissell trail, the South Taconic Trail, or the Alander Mountain Trail. These various options make it quite easy to summit three peaks in three different states, all in one hike. Brace Mountain is also quite close to the famous Appalachian Trail. Kaaterskill High Peak is one of the most iconic mountains in the Catskills, as it stands distinctly isolated from the rest of the mountains in its range and has been the subject of many famous paintings and photographs. Although at 3,655 feet it is not the highest in elevation of the Catskill 3500ers, it ranks fourth in prominence, making it one of the steeper and more challenging hikes in the Catskills, depending on the chosen trail. Both approaches to the mountain are reachable by the Long Path, which connects to a snowmobile trail and then a herd path that traverses the summit. The southern approach is shorter and easier, at about 7 miles total, but the northern approach (approximately 10.5 miles out and back) is incredibly beautiful, with waterfalls and many scenic overviews, although it is quite steep, with an elevation gain of almost 3,000 feet. Sugarloaf Mountain, located in Hudson Highlands State Park, is not to be confused with any of the other Sugarloafs in the area. The other, which is nearby, is often referred to as Sugarloaf Hill. But Sugarloaf Mountain is an easy 1-hour drive from New York City, and part of a park that contains many fun hikes and trails. The hike to the summit of Sugarloaf is not a long one, but it is quite steep, with lots of rocks. From the open summit, which is accessible via the Yellow Trail, hikers will see lovely views of neighboring mountains and surrounding areas. Hudson Highlands State Park is open from sunrise to sunset and camping is not permitted. Big Indian Mountain reaches 3,710 feet at its summit and is located in the Big Indian Wilderness. There is no marked trail to the top of Big Indian Mountain, but hikers can use the Pine Hill-West Branch Trail for part of the way until they find a herd path that leads to the summit. Hikers should note that the Pine Hill-West Branch Trail leads through many forested areas where the trail has been partially reclaimed by nature, and so this hike can be quite challenging. The Big Indian Wilderness area is quite remote, and is less popular with hikers, which makes it a very peaceful, quiet hike in the wilderness. Table Mountain (3847 feet), located in the Southern Catskills, is a popular hike that is often paired with the summit of its neighboring mountain, Peekamoose Mountain. The mountain is also accessible on its own via the Phoenicia East Branch Trail, but the Peekamoose-Table Trail, which allows hikers to summit both peaks, is only about 4.3 miles long. 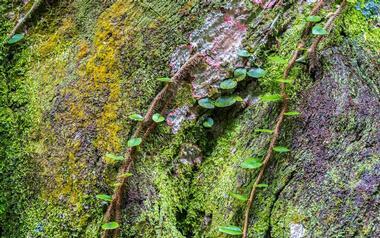 It leads hikers through forests, wildflowers, and some lovely views and overlooks. Although there are no sweeping vistas or strikingly impressive views from the summit, Table Mountain is a fun hike with easy access and steady elevation gain, making it a go-to for hikers looking to start checking peaks off of the Catskill 3500 list. Balsam Mountain (not to be confused with Balsam Lake Mountain or Balsam Cap Mountain), reaches 3,610 feet at its summit and is located near Pine Hill, New York. To reach the summit, hikers must take the Pine-Hill West Branch trail, which can sometimes prove difficult in the forested sections. Hikers can choose to take this trail all the way or approach it from a number of other trails, including the Seager-Big Indian Trail or the Oliverea Mapledale Trail. Balsam is located in one of the most remote locations in the Catskills, and so its summit does not offer views that are quite as impressive as some of the other mountains on this list, but shortly after the summit there are some beautiful viewpoints. Lean-tos and campsites are located near the trails. Peekamoose Mountain (3,843 feet) is a popular hike for those looking to bag a mountain on the Catskills 3500 list, as it is a fairly easy hike with lovely views and trails that are easy to follow. The hike to the summit is just over 3 miles long, with no real views at the top but plenty of gorgeous and peaceful scenery in the forest portions of the trail. Peekamoose Mountain is quite close to Table Mountain, another member of the 3500 club, and the Peekamoose-Table trail will lead hikers to both summits in one go. The distance between the two peaks is about 1 mile. Twin Mountain (3,640 feet) gets its name from the two summits on the north and south sides. These peaks are only a mile apart, and although both contain some of the most amazing views in the Catskills, the south summit is where hikers will find their most Instagram-worthy locations. Twin Mountain is part of the Devil’s Path, which runs through the Catskills for over 25 miles and summits several of the most fun and challenging mountains in the region. Twin Mountain is located between Sugarloaf Mountain and Indian Head, and it is quite easy for experienced hikers to summit a combination of these mountains in one day. With a summit of 3,780 feet above sea level, Wittenberg Mountain is the 14th highest peak in the Catskills. Its summit is part of the Long Path, which is a 345-mile-long trail that starts in New Jersey and ends near Albany. The mountain is open for hikers and climbers, and camping is permitted at Woodland Valley State Camp Ground, which is also where the trailhead is located. Hikers must pay a parking fee to park at the campground when it is open. Wittenberg Mountain’s trail and summit are open all year round, although hikers are advised to bring appropriate gear, like crampons and rope, during the winter. Schunnemunk Mountain is located in Orange County, New York, and from its summit (1,664 feet), hikers can see spectacular views of the Hudson River, the Catskill Mountains and, if the weather is kind, even the New York City skyline. 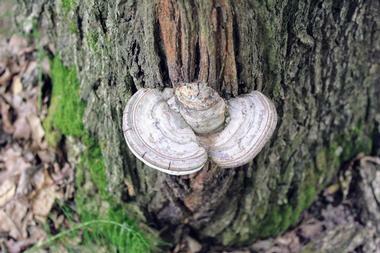 The mountain contains more than 25 miles of marked trails, all of which are privately owned. Although hiking is permitted, visitors are asked to please respect the private owners by staying on the marked trails and respecting signs posted in the area. Schunnemunk has forests as well as rocky outcrops near the top of the ridge. These upper areas are very exposed and can get very windy. Camping on Schunnemunk is allowed only with a permit, but the nearby Harriman State Park has campsites available to the public. Located in the Shawnangunk Mountains near New Paltz, New York, Bonticou Crag is a fun and beautiful hike with many options for reaching the top, including one that involves large sections of scrambling that is widely considered to be one of the most challenging hikes in the region. Bonticou Crag is part of the Mohonok Preserve, which is privately owned. Visitors must stop at the toll house or visitors center upon arrival to the Mohonok Preserve and pay an entrance fee of $9 per day. Camping is permitted in a 16-site section of the preserve known as Trapp’s Camp, but is prohibited elsewhere on the property. At 2,435 feet in elevation at the summit, Huckleberry Mountain is not the tallest mountain on this list, but this gorgeous little peak, located in the southern Adirondacks near Johnsburgh, is nonetheless worth a trip. The mountain provides spectacular views of the Paint Beds, where a 19th-century paint mine once produced the materials for making red paint. Hikers can spot the pits and remains of the buildings from the trail. Huckleberry also includes some impressive ridges and cliffs, which extend for about a mile and a half along the trail. Most of Huckleberry Mountain is located on private land, so camping is not allowed without the owner’s permission and while hiking is permitted, visitors should be aware of posting and signs.